Please note that this study is for shunted mothers with hydrocephalus that have given birth, and not about mothers that have given birth to children with Hydrocephalus. Para ver este sitio en español, haz un cliq aquí. I am a woman with congenital hydrocephalus who has been shunted since birth in 1962. 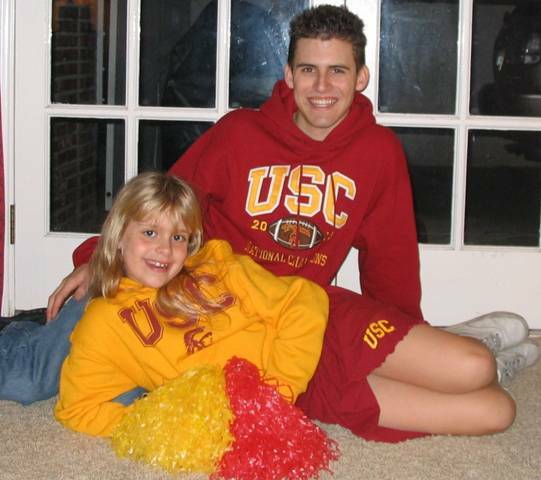 I am a graduate of the University of Southern California with a B.S. in education and the mother of two healthy children. In November of 1986, I became pregnant with my first child. Since I am in the first generation of shunted women to survive to childbearing age (due to advances in imaging methods, surgical techniques, and shunt technology), I was entering unknown medical territory. The pregnancy was normal with no complications but the delivery turned out to be a very difficult vaginal delivery due to the size and position (posterior—head down, face up) of the baby. Six weeks after his birth, I had a sudden onset of shunt malfunction symptoms that lead to an emergency revision. Blood was found blocking the proximal (brain end) end of my shunt. My husband and I were convinced that the difficult delivery and the shunt malfunction six weeks later were somehow related. Because I found very little published information on pregnancy and maternal hydrocephalus in the years immediately following my son's birth, I started the database in 1994 to see how other shunted mothers had fared during their pregnancies, deliveries, and postpartum periods. I have two healthy children—a boy born in 1987 and a girl born in 1996. I also have a rocket scientist husband. To make more data available on the effects of pregnancy on shunted women, I started a computerized database. Since its inception in May of 1994, the database has grown considerably and now includes participants from the United States, Canada, England, Ireland, Israel, Italy, the Netherlands, Scotland, and South Africa. Since I am not a physician and do not have access to patient records, I chose to gather data by questionnaire. The survey form was divided into two sections: maternal information and pregnancy information. In part 1, the mothers were asked their age at conception, medical history, and type of shunt (VA, VP, LP, other). In part 2, the respondents were asked to evaluate shunt performance during the pregnancy, the delivery and the postpartum period. Several questions were asked about the mode of delivery, use of delivery aids (forceps, suction, abdominal pressure), use of anesthesia, position of the baby, and the presence of birth defects in the baby. The mothers were also asked to report any unusual complications. Each mother who returned a survey, was assigned a number to protect her privacy. Several of the mothers had copies of their surgical records at home for reference. My study differs from previous studies in that it follows the mothers and their babies well after pregnancy and delivery. A few problems in the children of these mothers that were not obvious at birth, have been reported to me as symptoms appeared. Subsequent pregnancies are reported to me as they occur. In 1997, I teamed with Ann Marie Liakos, the former executive director of the Hydrocephalus Research Foundation. Together we organized a group of medical professionals to help us reach our goal of publication of my study results in a medical journal. We submitted a manuscript to the prestigious medical journal "Neurosurgery" in August 1997. We were thrilled that our first article appeared in the September 1998 issue of "Neurosurgery". To date, my research team and I have published two medical journal articles based on my database study. The first appeared in the September 1998 issue of the journal Neurosurgery and was titled, "Maternal Shunt Dependency: Implications for obstetric care, neurosurgical management, and pregnancy outcomes, and a review of selected literature". The second article was published two years later and included statistics on twice as many shunted pregnancies as the first. The second publication appeared in the January 2000 issue of the medical journal Neurological Research and was titled, "Hydrocephalus and the Reproductive Health of Women: The Medical Implications of Maternal Shunt Dependency in 70 Women and 138 Pregnancies". The second journal article presents statistics on the pregnancies of seventy shunted mothers—fifty-four with ventriculoperitoneal (VP) shunts, ten with ventriculoatrial (VA) shunts, 1 with a ventriculopleural (VPL) shunt, and one with a lumboperitoneal (LP) shunt. My ongoing research has also been presented at the Hydrocephalus Association's biannual conferences held in Arlington, Virginia (1998); Scottsdale, Arizona (2000); Chicago, Illinois (2002); San Francisco, California (2004); and Baltimore, Maryland (2006). Assuming the absence of other complicating medical conditions, women with hydrocephalus can have successful pregnancy outcomes for both the mother and child. Initial shunt placement in the study participants took place between birth and 35 years of age for a variety of reasons. One mother was first shunted as an experiment in 1940 and was completely unaware of her shunt through her two pregnancies. There were many reasons for initial shunt placement. Those with congenital forms of hydrocephalus had hydrocephalus that began developing while the individual was still in the womb. Those with hydrocephalus classified as "acquired" developed hydrocephalus after birth for a variety of reasons. Most of the shunted mothers in my study completed a high school degree. Many continued to college with a few completing a graduate degree. It is recommended that women with hydrocephalus considering pregnancy receive preconception counseling and a baseline CT or MRI. That way, if the woman's shunt malfunctions during pregnancy, the doctor has a current scan of the brain for comparison. It is important the woman take prenatal vitamins including folic acid BEFORE and during the pregnancy to minimize the risk of neural tube defects. Discuss any medications the shunted woman is taking including anticonvulsants with your doctors. Some anticonvulsants are contraindicated for pregnant women. Prenatal testing is an important consideration for shunted pregnant women. In my study, 95% had ultrasounds. Sixty-six percent had the alpha-fetoprotein test (afp test). This is a simple blood test performed between the 16th and 18th weeks of pregnancy to screen for neural tube defects such as spina bifida and anencephaly in the baby. Twenty-eight percent of the women in this study had amniocentesis. One woman's test identified a baby with trisomy 13. Although this is an invasive test, there were no complications from the procedure reported by the mothers in this study. The 70 participants in this study reported 137 pregnancies. Their ages at conception ranged from 18 to 41 years. Nine mothers in the study reported an increase in headaches during pregnancy. Eight lead to surgical revision. One mother reported disabling chronic headaches throughout both her pregnancies and had revisions following both deliveries. Fifteen mothers reported increased intracranial pressure that subsided following delivery with no surgical intervention. Seven mothers reported no increase in headache activity and two women actually reported having fewer headaches while pregnant. There were three types of anesthesia used during the delivery of the shunted mothers' babies in my study—epidural, spinal and general. It is very important that epidural and spinal anesthesia be very carefully administered by the anesthesiologist. Needle slippage has resulted in shunt malfunction in a few of the shunted women in this study. Fourteen women reported intermittent symptoms of raised intracranial pressure (resulting in headaches for most of the mothers) over the course of twenty pregnancies. In all of these cases, symptoms resolved following delivery, miscarriage or pregnancy termination. When shunted mothers deliver their babies vaginally, many doctors now agree that a shortened second stage (pushing) of labor is preferred. The best way to achieve a shortened second stage of labor is by the use of forceps or suction. Heavy amounts of abdominal pressure are contraindicated for the shunted mother because it increases her intracranial pressure. In my study, two mothers who had heavy amounts of abdominal pressure during their vaginal deliveries, reported malfunctions within 4 months of delivery. In one case (#001), blood was found in the proximal (brain) end of her shunt causing a blockage. This mother had extreme amounts of abdominal pressure applied during delivery and reported feeling increased pressure in her head as it was being applied. Five of the seven revisions during pregnancy were associated with two mothers. Five mothers account for 15 of the 23 post-partum revisions. All mothers who had malfunctions in the third trimester chose to wait until after the delivery of their babies to have their shunts revised. Eleven women reported birth defects in their babies, but there does NOT appear to be a statistically significant increase in the risk of birth defects. The following table lists those birth defects. The mother of the baby born with spina bifida and hydrocephalus did not take prenatal vitamins containing folic acid before conception but did take prenatal vitamins during her pregnancy. This mother's hydrocephalus was acquired so it could not have been passed to her baby genetically. *Includes new data since second paper was published. Shunted mothers must be carefully monitored both physically and neurologically throughout pregnancy. Precautionary measures are vital to successful shunted pregnancies. Mothers should discuss the benefits and risks of any medications prescribed with their doctors. A conference should be held by all the OB on-call partners of the shunted mother (early in the pregnancy) in order to ensure each physician is aware of the shunted mother's special medical concerns. Baby's position is very important. If the baby's position is posterior or breech when labor begins, Cesarean section should be seriously considered. Application of abdominal pressure should be avoided (especially heavy amounts of abdominal pressure). Physicians should carefully consider the risks to the mother's shunt system for any procedure involving large amounts of abdominal pressure (an example would be external breech version). Spinal and epidural anesthesia should be very carefully administered. During Cesarean sections, great care should be exercised to thoroughly flush the peritoneal cavity in an attempt to reduce the risk of intra-abdominal infection. In one case, intra-abdominal infection caused adhesion formation around the abdominal end of the catheter. One mother's abdominal tubing was exposed during her Cesarean section causing a shunt infection. Pregnant shunted women should not go past their due dates (providing the dates are correct) because the bigger the baby gets, the more intracranial pressure the mother will experience during delivery. My work on the Pregnancy and Maternal Hydrocephalus Database is dedicated to the memory of my daughter, Melanie Anastasia, who had hydrocephalus due to a fatal chromosomal disorder.